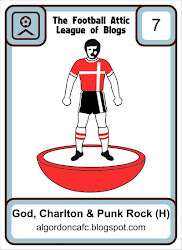 God, Charlton and Punk Rock: Cherries and peaches. 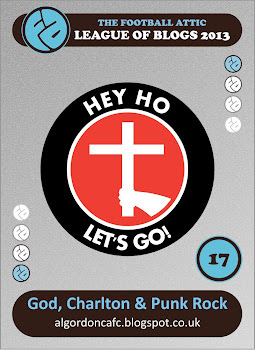 Charlton Athletic today started their 'Sky Bet' (oh dear) Championship campaign on the south coast at newly promoted Bournemouth. Resplendent in their new white away shirts the home supporters may have been forgiven for thinking the mighty Real Madrid had returned for a rematch. 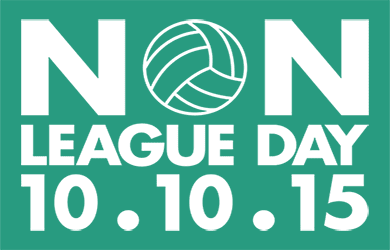 Those supporters that had seen another pay day and could afford to attend another football match that is. Of course this was a far more even affair than the high profile friendly The Cherries played last month, and a good indicator for both sides on how the summer and the new season preparation had gone. With the arrival of two new strikers on Thursday of last week, Chris Powell finally had a realistic claim to play something other than a 4-5-1 formation, opting to give Marvin Sordell a debut alongside Yann Kermorgant up front. The big team news however was Johnnie Jackson missing out with a calf niggle, Morrison was named skipper in his absence. Dervite partnered Morrison with Solly and former Bournemouth full back Rhoys Wiggins completed Ben Hamer's defence. New signing Mark Gower started alongside another veteran, Andy Hughes, in the middle of the park with Pritchard and Harriott running wide. 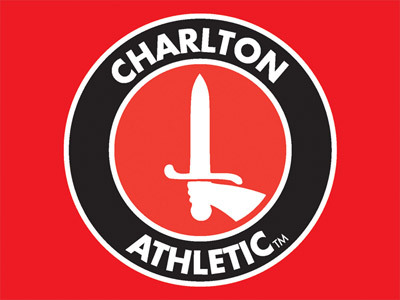 Charlton started steadily enough but the home side soon began to mount some continuous pressure, culminating in the opening goal. 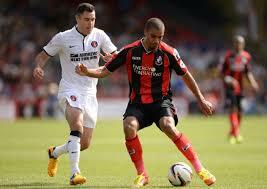 A defensive lack of concentration saw Lewis Grabban nod home from former Charlton youngster Harry Arter's cross. Very highly rated on the coast, a Bournemouth supporting friend jested with me last season on how we let this lad through the net. It always comes back to haunt us doesn't it. Bournemouth came close again only two minutes later and in many ways Charlton could think themselves lucky to go into the break still very much in the game. Bournemouth had certainly played the first forty five minutes in the same manner as they finished the previous campaign and with the enthusiasm and gall of a newly promoted side. A lovely scissor style volley of pure power (do we still use the term 'peach' or is that old hat?) from the Frenchman livened a consistently audible away following to new levels, these new kids on the block needed taking down a peg or two from experienced Championship hands. If only. 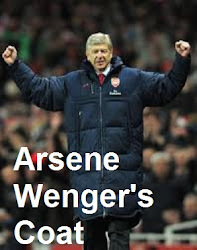 That lesson may have to wait a week or two and be dealt by another club. Grabben grabbed his second (bugger, I promised myself I wouldn't sink that low) with another 'peach' of a strike from the edge of the area. There was no way back. Bradley Pritchard came closest but his effort was cleared off the Bournemouth goal line while Dervite also had a header go close. Pritchard didn't last much longer after his attempt to score. A straight red after a late lunge on Ryan Fraser saw the midfielder walking only five minutes after Charlton had used their final substitutes. Simon Church made his debut replacing Sordell not long after the hour mark, while Green and Stephens then came on for a double substitution replacing the aging and tiring old boys in the middle. With a combined age of 69 in the heart of our midfield it was no surprise they didn't see out the full ninety minutes! It's early days and as Hungry Ted quite rightly pointed out on twitter, no side has been relegated on the opening day of the season. Let's put this down to experience, allow the new boys a happy start to life at this level and just enjoy the fact that football is back. We've plenty of time to start the moaning properly, perhaps even on Tuesday night after Oxford United have visited us in the League Cup.